We offer premium taxation, Indirect Tax Services, direct tax services, corporate tax services and financial planning services which can be tailored to suit various requirements of clients. 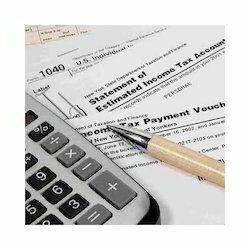 Our team of experts assists us in rendering services in the field of individual and corporate taxation, liasioning with tax department HUF, tax planning etc. Fixed Deposits, Mutual Funds, Unit Linked Insurance Plans, Life & General Insurance Plans, Stock Trading & Real Estate (Apartments Only) enabling to meet your future financial needs. We are Providing Financial Assistance Service. Muzaffarpur, Purnia, Pusa, Saharsa, Samastipur, Sasaram, Sitamarhi, Siwan. As the Banking and Financial industry begins to recover from the global financial crisis, there is strong focus to control operational costs, manage regulatory compliance and enhance customer satisfaction and retention. This is the most preferred mode of project delivery for a client who acts a third party responsible for providing the service, which is a common case with govt. institutions. As this facilitates the client to avoid the necessity to generate financial investments required for installations of the plant. The Financial Services is one of the largest growing verticals in todays world.Using a value centric approach to the enterprise, we have been transforming technology into competitive advantage for some of the financial services. Good Financial advice helps you make the most of what you have while you create a comfortable future for yourself and your family. It's based on your goals and dreams, and includes tax planning, investments and your financial security. G&C strongly believes that its effort to create wealth for its valued clients is incomplete without extending integrated financial services and financial planning. Our sister company M/s. Money Tree Financial Services, is a boutique player in its field of operations and extends select services to discerning clients. Chief Financial Officer is a valued position/role. The rising cost and frequent work switch overs often leave the business owners/promoters in doubt of the effectiveness of the finance function. good sign of being an ‘organized retailer’ is maintaining accounts in the retail ERP. Retail software typically does not have integrated accounts and if it does then the integration is too costly. Sometimes the accounting is too basic. Ginesys account is used by a range of companies with turnover from Rs. 10 Cr to 800 Cr.